While I was working on my own cookbook, I neglected to keep up with all of the great paleo titles that have been written and released. Which means that now I’m done, I have lots of fabulous books to look through for great recipes and inspiration! 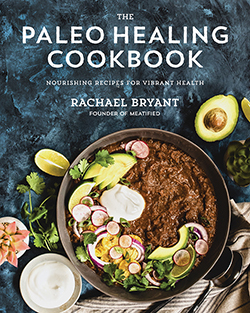 One of the books I missed was Paleo Takes 5 or Fewer from Cindy over at PALEOdISH. It’s a great concept: other than pantry staples, all of the recipes within the book use 3, 4 or 5 ingredients. It’s a guide to creating simple, tasty paleo food without fuss – who doesn’t want that? Luckily for you guys, I get to share a recipe for sticky glazed chicken from the book today – take it away, Cindy! When my husband and I made this recipe for the first time, there may have been a game of rock, paper, scissors in our kitchen to determine who would get the last one! Best two out of three always wins! This simple and easy glaze will leave your family or dinner guests wondering what sweetness just hit their lips. Don’t fancy chicken legs? No worries, this glaze works well the chicken thighs, breasts or wings as well. 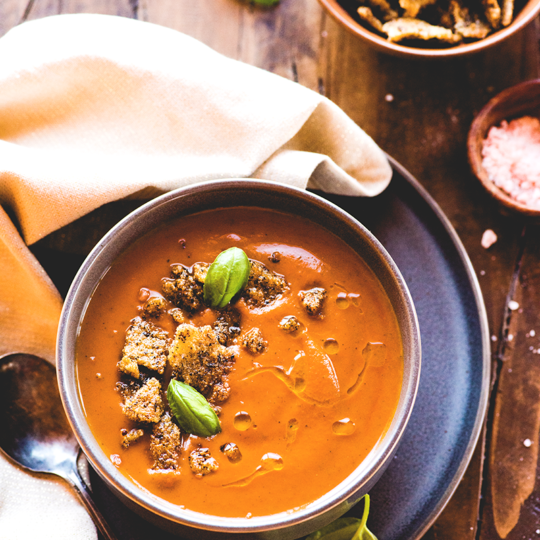 One last note from Rach: this recipe is already almost perfect for the Autoimmune Protocol – just skip the ground pepper and you’re good to go! And don’t forget to grab your own copy of Paleo Takes 5 or Fewer! Start by brushing chicken legs with some melted cooking fat. Place the chicken on a rack in a roasting pan and bake for 35 minutes, or until skin becomes crispy (internal temperature of 175°F (79°C)). In the meantime, puree dates, balsamic vinegar, ginger, salt and pepper in a small food processor. Pulse these ingredients together until a paste has formed. You may have to stop it occasionally and scrape the mixture off the sides, as sometimes the dates can stick. Transfer the mixture to a small saucepan and heat over medium heat on the stovetop, stirring occasionally until it becomes the consistency of a honey-like glaze. If it is too thick you may have to add in a little bit more balsamic. Remove the chicken when cooked and brush generously with the date glaze, making sure the entire drumstick is coated. Return to oven and broil for approximately 5 minutes, watching closely. You can use tongs to turn, and broil opposite side if you wish. Let them sit and cool for 5 to 10 minutes before serving. Glad you enjoyed it and thank you for sharing, I appreciate it! My husband actually swiped all of this batch, ha! Can you cook the chicken legs in a crockpot? I don’t think the glaze would hold, since using a slow cooker would mean the chicken would end up in extra liquid. You might be able to make it work if you put the chicken on a rack inside the slow cooker, but I think the dry heat of the oven to set the glaze is probably needed for this recipe. Oh thank you! I’m going to try this. I bet you could use this on ribs, too!